When we bought our new home in Georgia last summer I was so happy to find four gorgeous mature hydrangeas in the yard. Hydrangeas are my absolute favorite flower. As we add to the landscaping we’ve even gone so far as to add six more that will hopefully one day produce as many blooms as the ones we have now. Not only do I love hydrangeas for flower arrangements, I also like to dry them to use for crafts like wreath making. 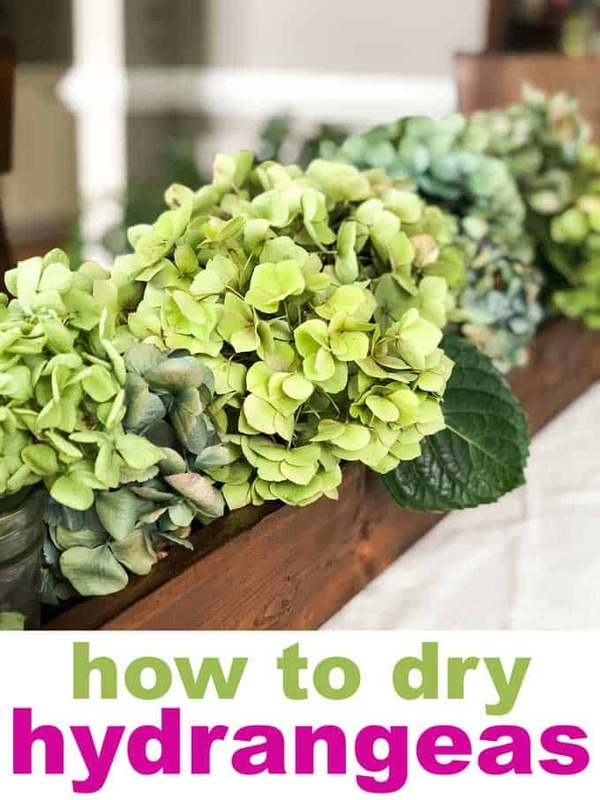 I’m often asked how to dry hydrangeas and it honestly couldn’t be easier! 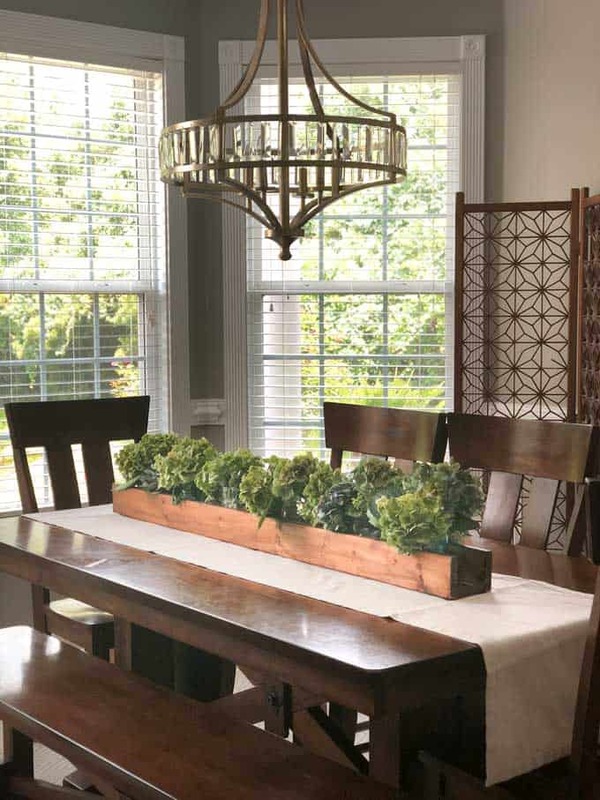 Here is my go-to method for drying hydrangea flowers. You want to clip your hydrangeas when they are starting to fade but not yet dry. Not only does this help your plant divert it’s energy to more growth but it helps ensure your hydrangea flowers don’t wilt as they dry. Look on the stem for the highest new buds and clip just above that mark. 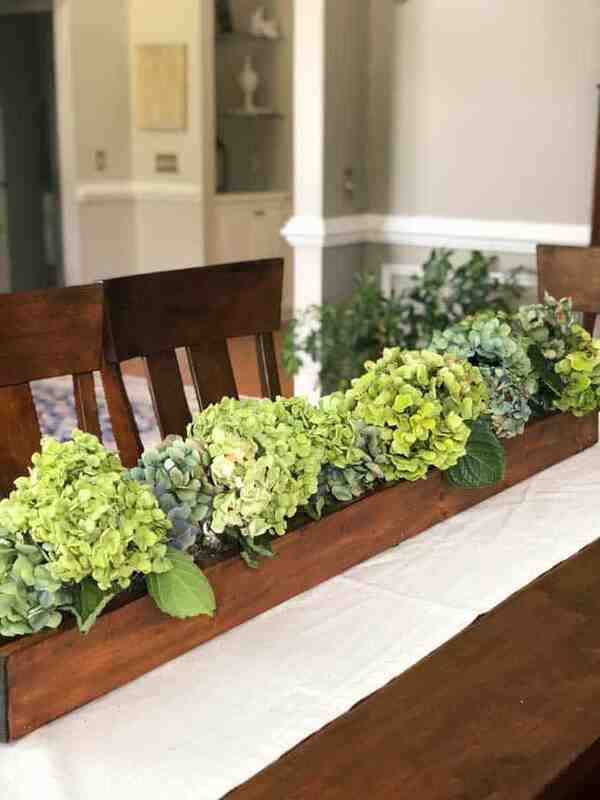 Like I shared years ago in this post about how to keep hydrangeas from wilting, I dunk my stem in alum to prevent the plant from forming a sticky barrier on the stem that will cause it to wilt. Then I place the stems in a vase or mason jar with about a cup of water and wait. Yes, just wait for the stems to dry naturally on their own! Once dry you can use them to make wreaths, arrangements, or whatever your hydrangea-loving heart desires! Endly, I have gone to your website! Sorry to have taken so long time! Too busy! I’m happy to see what you propose. I have liked you advise to dry hydrangeas! Do your website generates advertising? The house renting is going well. But not enough to renew some parts of the house. I would like to develop complementary activities. If you have advices, i would be happy to read you.